On the surface, the claim seems plausible. This is a population that largely lives in the shadows. And it’s fair to assume that many undocumented workers are paid under the table, with little incentive to report their earnings. But while this may be the case for some, it certainly does not hold true for the majority. About 80 families visit the agency a month asking for help with translating birth certificates, identification cards and other written documents or correspondence. The agency also helps write résumés and letters of permission for children to travel and assistance with applications for services offered within the community. Just a few months ago, not many knew about these five fourth-graders from a low-income community in Indianapolis. But now, the Panther Bots, a thriving robotics team at Pleasant Run Elementary School, have become the face of a success story about a group of kids who were taunted with racial slurs but were too determined to let that affect their confidence. Earlier this month, they found themselves being honored on the Senate floor of the Indiana Statehouse. The group travels to Louisville on Sunday to compete in a worldwide robotics contest. When you think of illegal immigration in the U.S., do you picture a border crosser or a visa overstayer? A family or a single person? A farmworker or a waiter? People living in the U.S. without legal status are frequently invoked in American politics — especially in recent months. But the conversation is often short on facts about the millions of people who fall into this category. There are, however, outdated beliefs: A Pew Research Center survey in 2015 found that very few Americans are aware of recent changes in immigration patterns. 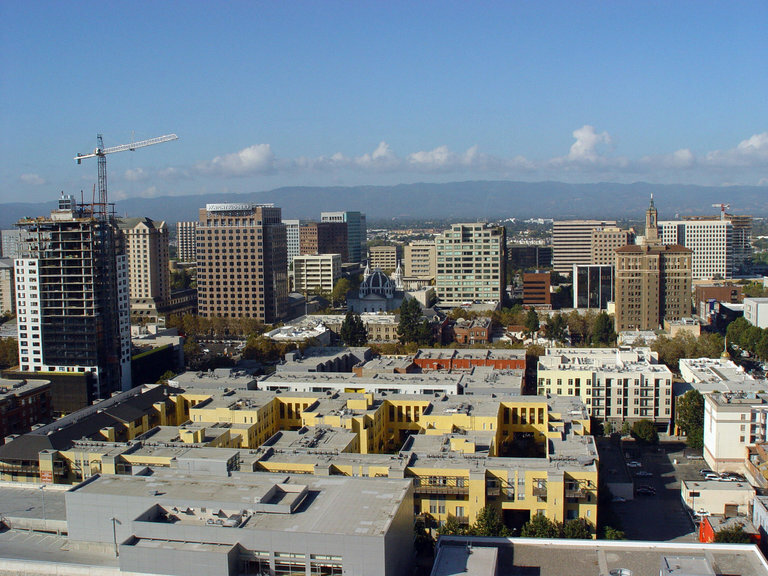 Q: What have the waves of immigration meant for San Jose? A: In Silicon Valley diversity and our immigrant community has been the secret sauce to our success. About half of our venture-funded start-ups are started by foreign born entrepreneurs. Obviously we have our share of challenges. But there’s an incredible story to tell about what immigration has brought to our community. I hope the rest of the nation will take heed. Undocumented immigrants in the U.S. pay more than $11 billion a year in state and local taxes, according to a new study by the Institute on Taxation and Economic Policy. In 42 states, undocumented immigrants pay in taxes a higher share of their income than do the wealthiest 1 percent in their respective states. A common misconception is that undocumented immigrants avoid paying taxes. In fact, undocumented individuals pay sales and excise taxes, property taxes and, in some instances, personal income taxes. The study determined that at least 50 percent of undocumented households currently file income tax returns through the use of individual tax identification numbers, and many have taxes automatically deducted from their paychecks. Remember how Donald Trump was going to deport millions of undocumented immigrants, build an “impenetrable and beautiful” wall along the southern border and save American jobs? 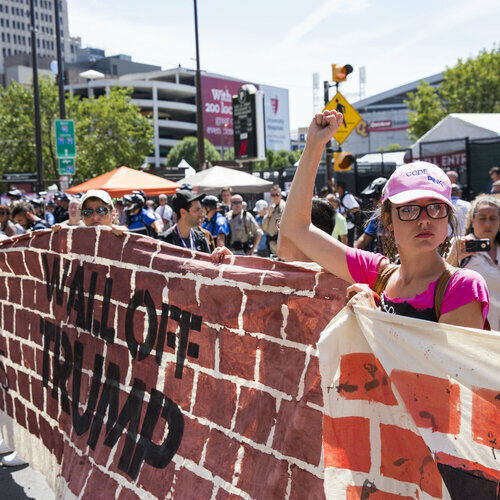 Well—amid a resurgent U.S. job market checked by a quickly evaporating pool of low-skilled workers—it turns out that Trump’s great wall may be the last thing the economy needs. Latinos have been dying for America since before we were a nation. The dominant narrative is that we have just “illegally” crossed the border or are “fresh off the boat.” In fact the Spanish are evidence of America’s first original sin: We were mistreating indigenous people here long before the British brought slaves to the colonies. People forget that Latinos founded some of America’s first cities. Latinos have been dying for America since before we were a nation. Why have our children not heard that thousands of Latino patriots fought for America in the Revolutionary War? 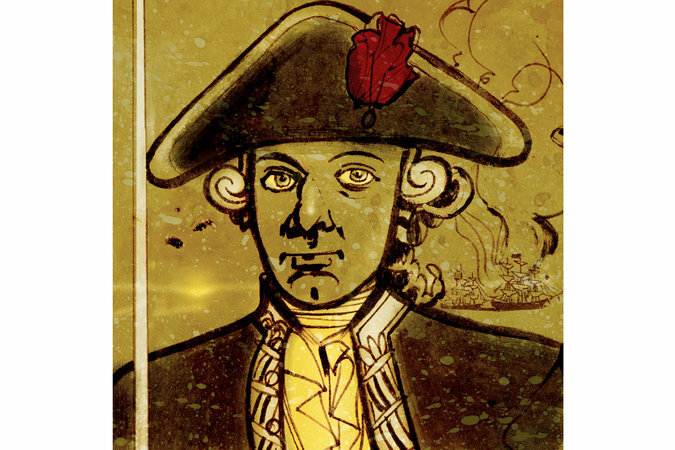 Bernardo de Gálvez, a Spanish general, recruited Mexicans, Cubans, Native Americans and free African-Americans to fight against the British in the South, while Cuban women donated their jewelry and money to help the patriots. Where is the Ken Burns documentary about that? 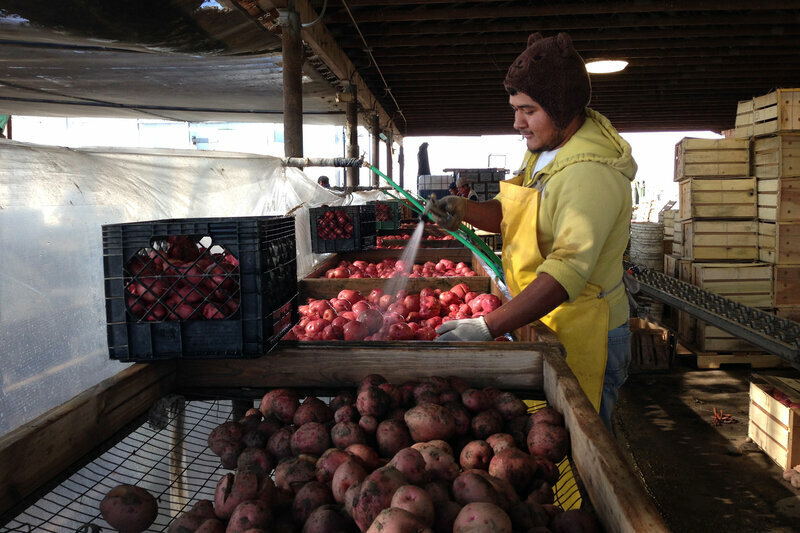 Depending on the season, Indiana farms employ between 2,000 and 20,000 migrant farm workers. When workers migrate, often their families do, too. Children in this mobile lifestyle can face interrupted schooling, cultural and language barriers, and social isolation — factors that inhibit a child’s ability to do well in school. 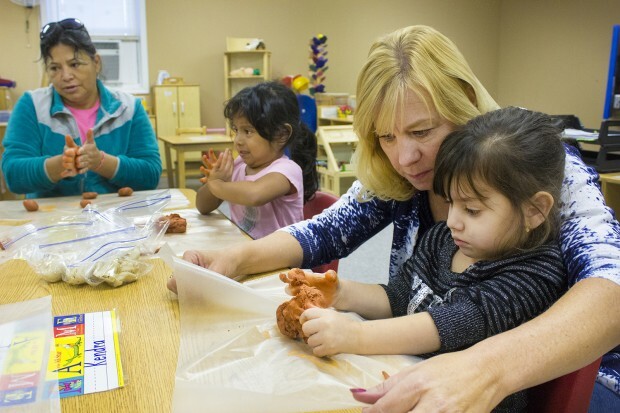 A public preschool for migrant children in Vincennes, the IN Region 4 Migrant Preschool Center, works to combat that. The preschool teaches migrant children, ages 2 to 5, in English and Spanish. It aims to prepare them for future instruction, wherever they may go. One Pennsylvania County Sees The Future. Is it similar to Goshen, IN? “The rent is too expensive,” Indiana Hernandez, 33, the manager of Lucy’s Barber Shop on North 5th Street in Reading, said of her reasons for leaving the Bronx. She moved to the U.S. from the Dominican Republic in 2006, and she said she liked her adopted city well enough — work in the shop was preferable to the waitressing and factory jobs she had in New York, though she’d rather be doing hair in the front of the shop than sitting in the back room, monitoring the security cameras. Another shop employee, Aidee Maria, 39, said that the Bronx was fine for work, but that Reading’s quality of life was preferable. “I like the flowers,” Maria said of her new hometown, laughing. Latinos are by far the fastest growing chunk ofthe U.S. school population. A new report by the National Council of La Raza gives a fascinating snapshot of this fast-growing population. Over the last 15 years, Latino enrollment has significantly outpaced that of whites and African-Americans. Latinos under the age of 18 now total 18.2 million, a 47 percent jump since 2000. Though white children are still the majority in this age group — 52 percent — Latino children are projected to make up about a third of total pre-K-12 enrollment by 2023. Immigration is no longer the primary factor driving Latino population growth. Overall, 95 percent of Latinos 18 and younger are U.S. born. Indiana Benefiting from Illegal Contributions? Costa also cites a Social Security Administration study that says these immigrants pay far more into Social Security than they take out, netting billions of dollars in benefit to the program. 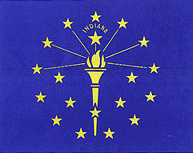 INDIANAPOLIS — Indiana’s minorities do not enjoy proportional representation in the Legislature or the state’s congressional delegation, according to data compiled by the Associated Press. For example, Latinos make up almost 7 percent of the state’s population, but less than 1 percent of the Legislature. The state’s nine-member congressional delegation includes one African-American, but no Latinos. “I can guarantee 99 percent of them get up and go to work every day because this neighborhood clears out at six in the morning,” Hardy said. The growth in the Latino population over the past 25 years or so has changed many neighborhoods in Elkhart and Goshen. In the swath of south Elkhart where Hardy lives, an area south of Wolf Avenue between Oakland Avenue and Prairie Street, the surge has been particularly pronounced. 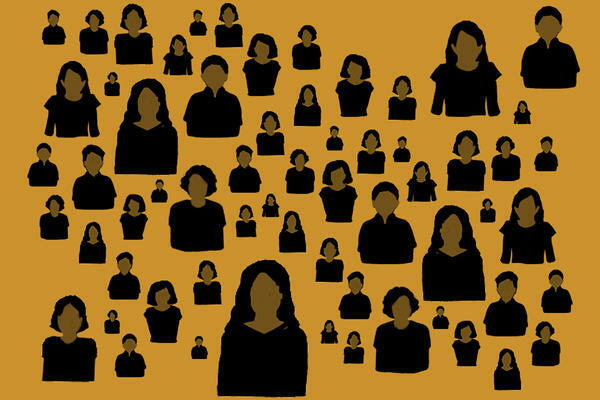 From just 110 Latinos in 1990, 1.6 percent of the population, the Hispanic count in the area grew to an estimated 3,036 as of 2014, or 34 percent of the population, according to U.S. Census Bureau figures. That’s higher than the city’s overall Hispanic concentration of 24 percent. Immigrants Don’t Drain Welfare. They Fund It! Native-born Americans aren’t footing the bill for immigrants so much as immigrants are contributing to a welfare system that many of them can’t take advantage of. 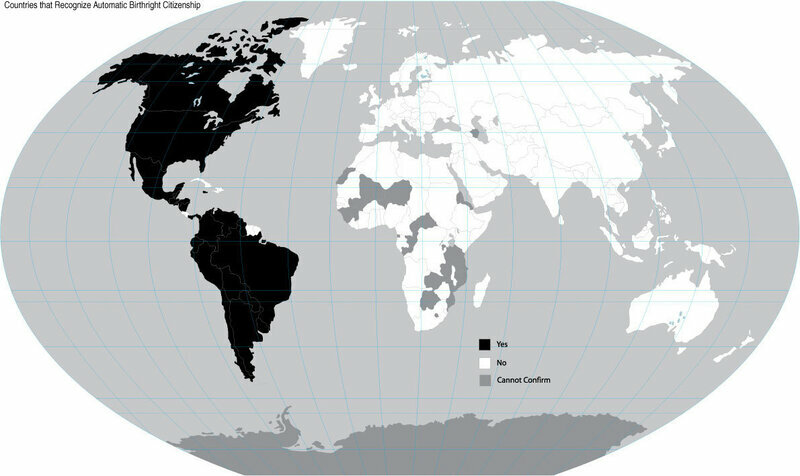 Every few years, the common law concept of jus soli — or birthright citizenship — comes back into the news. This time, it was thrust onto the stage by Republican presidential candidate Donald Trump, who just unveiled an immigration plan. One of his proposals is to stop automatically giving citizenship to most people born on U.S. soil. Rival GOP candidate Scott Walker issued a similar call. The concept of jus soli has a storied history in the United States that dates to the late 1800s. Does the U.S. need more immigrant workers? allowing more legal immigrants to come to the U.S. to work year-round is an issue that’s very much alive for employers, who are looking to fill hard manual-labor jobs that they say they can’t find Americans to do, now that the economy’s firing on all cylinders again. Most anti-immigration arguments I hear are variations on the Lump of Labor Fallacy. That immigrant has a job. If he didn’t have that job, somebody else, somebody born here, would have it. This argument is wrong, or at least wildly oversimplified. But it feels so correct, so logical. And it’s not just people like my grandfather making that argument. Our government policy is rooted in it. According to surveys, about half of all farmworkers in the country lack legitimate documents and live in what’s often described as a “shadow world,” without legal rights. The farmers who employ those workers, meanwhile, are deeply ambivalent about this situation. This milestone is the result of a long-term increase in Hispanic college-going that accelerated with the onset of the recession in 2008 (Fry and Lopez, 2012). The rate among white high school graduates, by contrast, has declined slightly since 2008. MYTH: Immigrants abuse public benefits. American citizens are paying for their social well-being. Fact: Undocumented immigrants DO pay taxes. In 2007, unauthorized immigrants in Indiana paid roughly $255.9 million in taxes. Additionally, authorized immigrants who were not U.S. citizens paid $901.7 million in taxes, and naturalized immigrants paid $1.2 billion in taxes. Fact: If all unauthorized immigrants left Indiana, the state would lose $2.8 billion in economic activity, $1.3 billion in gross state product, and approximately 16,739 jobs, even after the market had time to readjust. 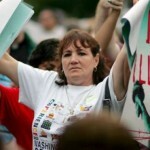 Myths about immigration and immigrants are common. Here are a few of the most frequently heard misconceptions along with information to help you and your students separate fact from fear. When students make statements that are mistaken or inaccurate, one response is to simply ask, “How do you know that’s true?” Whatever the answer—even if it’s “That’s what my parents say”—probe a little more to get at the source. Ask, “Where do you think they got that information?” or “That sounds like it might be an opinion and not a fact.” Guide students to find a reliable source and help them figure out how to check the facts. DO IMMIGRANTS INCREASE THE CRIME RATE? -U.S.-born men age 18-39 are 5 times more likely to be incarcerated than male immigrants of the same age. -Data from the 1980, 1990 and 2000 census reports show that for every ethnic group, incarceration rates among young men are lowest for immigrants, even those who are least educated and least acculturated. -The number of undocumented immigrants in the U.S. doubled from 1994 to 2005, but during that time period violent crime actually decreased by 34.2%. At the same time, property crimes also decreased by 26.4%. The Immigration Policy Center (IPC) is the research and policy arm of the American Immigration Council. IPC’s mission is to shape a rational conversation on immigration and immigrant integration. IPC, formed in 2003 is a non-partisan organization that neither supports nor opposes any political party or candidate for office.-U.S.-born men age 18-39 are 5 times more likely to be incarcerated than male immigrants of the same age. The Immigration Policy Center (IPC) is the research and policy arm of the American Immigration Council. IPC’s mission is to shape a rational conversation on immigration and immigrant integration. IPC, formed in 2003 is a non-partisan organization that neither supports nor opposes any political party or candidate for office.